Have you “Fallen out” with tequila? 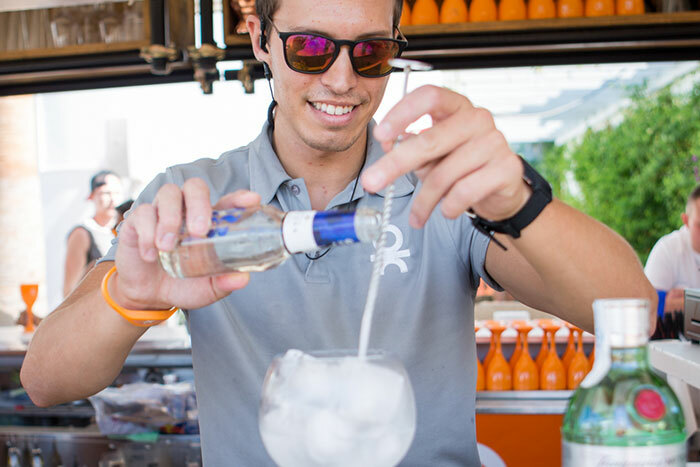 We have a cocktail that will re-ignite your passion. We celebrate the flavour of tequila with another of our signature offerings. Don Julio is the star of the show with a bittersweet and sour ensemble combining Aperol, strawberries, pineapple, lime and agave syrup to highlight the fresh and peppery tequila base. Savour it while you can because it´s sure to disappear quickly. TOP TIP! Pair this with some Mexican nibbles by ordering the Mexican Platter to share! The mojito will never go out of style, but fashioning a niche for itself is our smooth and spicy Zacapa Mule. Fiery ginger beer, root ginger and fresh cracked black pepper calmed by soft pear and rich, silky Guatemalan rum. 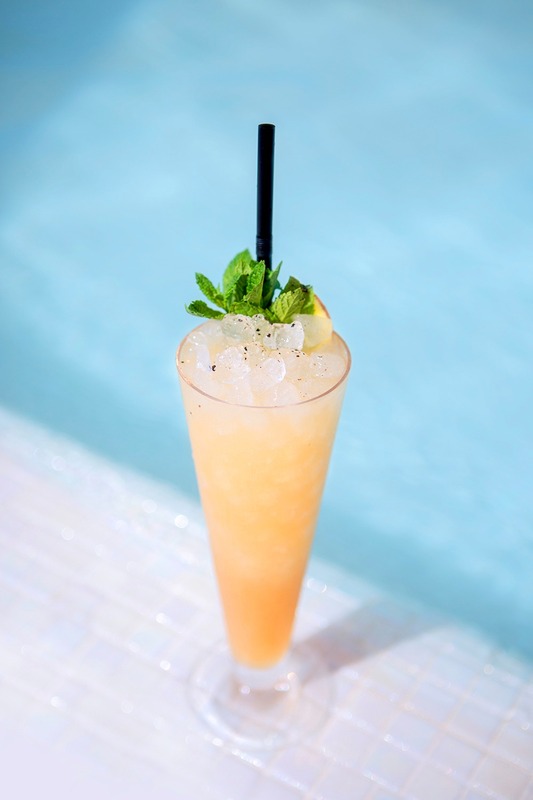 Luxurious textures and a harmony of opposing flavours make this one a “must experience” sensation at any of our spectacular pool parties. 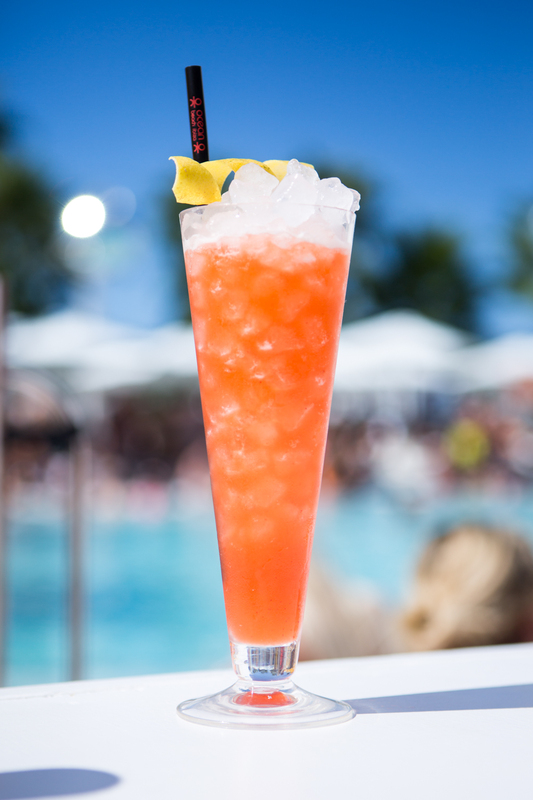 As an alternative to the g&t why not try this fresh aperitif style signature cocktail. 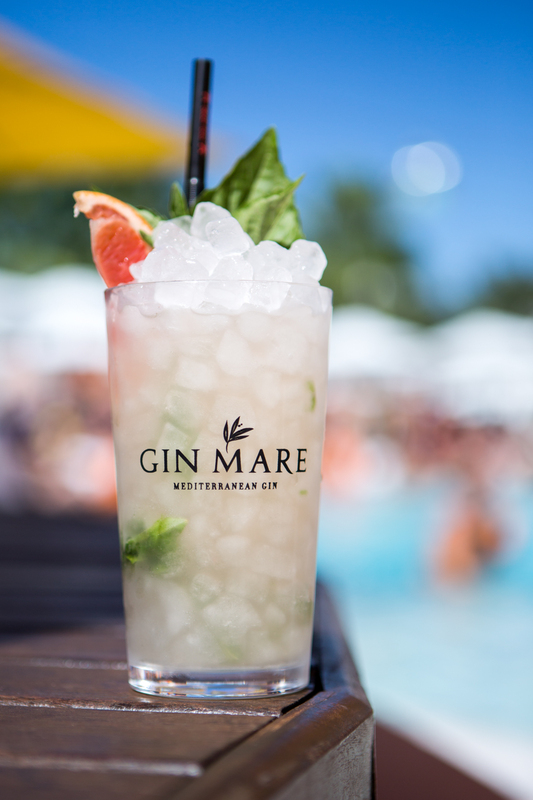 Gin Mare, flavoured with all things “med” (olives, basil, rosemary and thyme) served over crushed ice with fresh basil leaves and grapefruit, a splash of vermouth and a dash of soda. Its Long, fresh and its sweet bitterness just keeps you sipping and sipping… incredibly moreish. And finally, for all you G&T lovers out there, this ones for you! 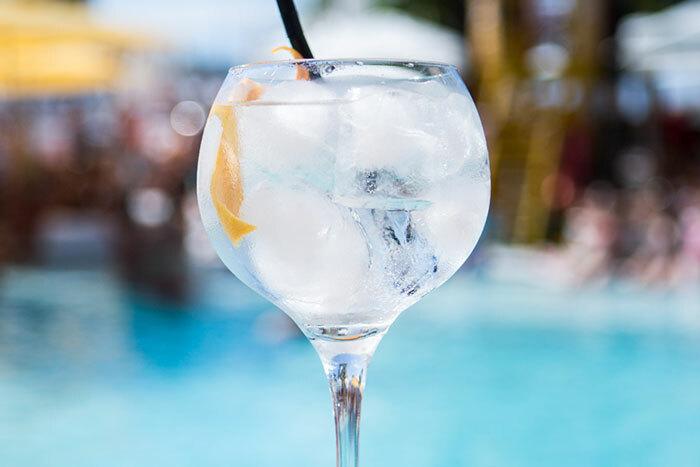 Our step by step guide to mastering the perfect summer G&T! 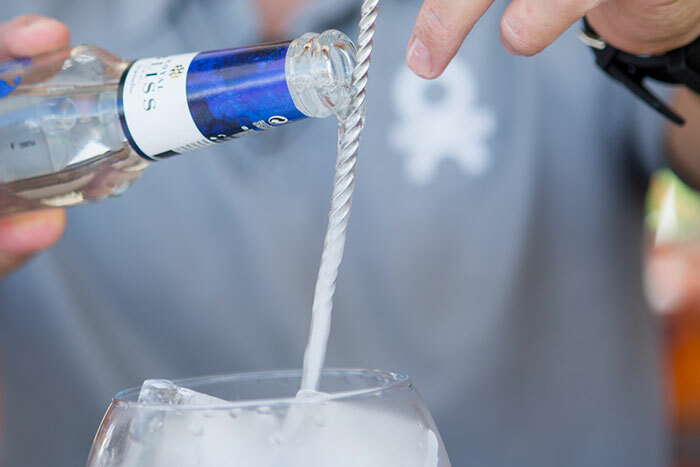 Stir the ice until the glass is as cold as possible then strain off the excess water. Into your iced glass, pour a “healthy slug” of Tanqueray 10. 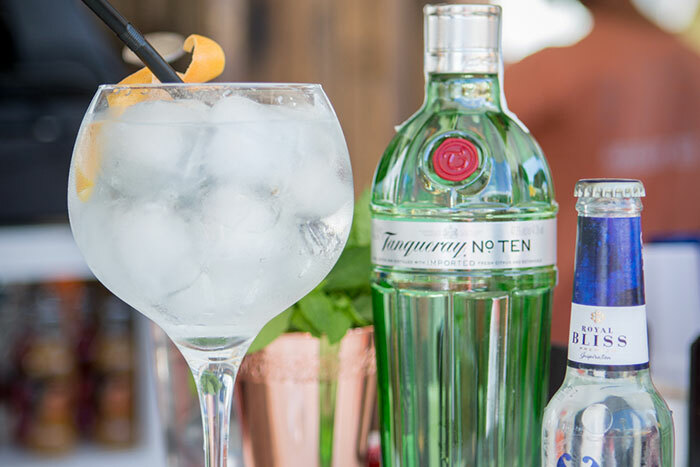 Tanqueray 10 could be called a classic gin now, leaning on the traditional juniper for the base, but has always carried a characteristic citric tones the most pronounced being grapefruit peel. 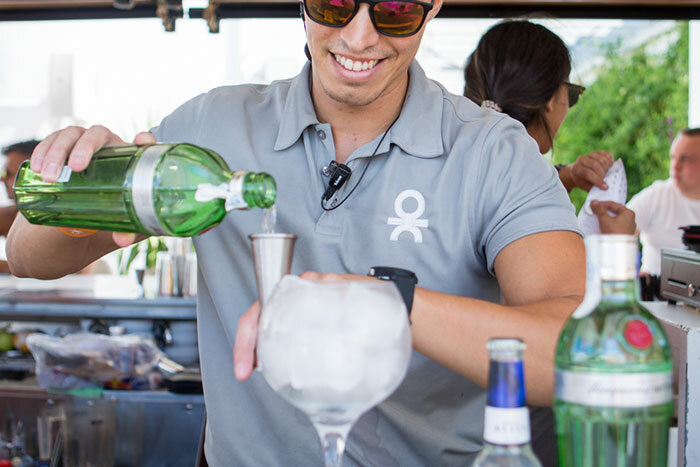 Then it´s time to add the tonic, our chosen tonic carries strong lemon and lime hints, this goes toward making a fresh and clean tasting G&T. Place a (silver-plated) spoon all the way into the glass and angle it slightly. Slowly pour “Royal Bliss Creative Tonic Water” down the spoon. This should help to break the fall of the tonic and preserve the carbonation of your drink. 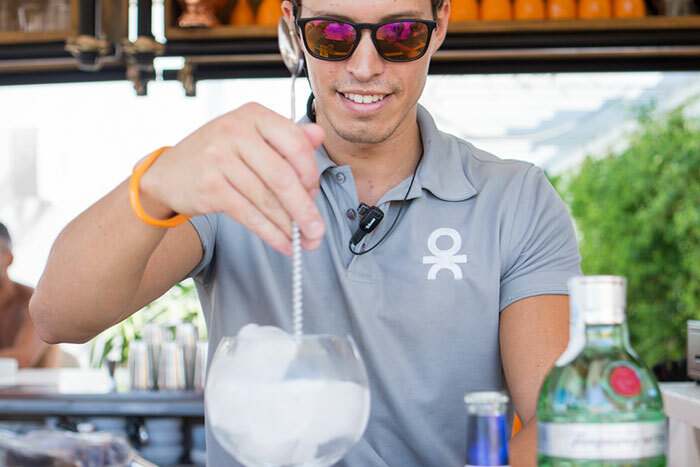 Then gently stir the ice as if it were one block allowing the G&T to mix and chill around the ice without losing more precious bubbles. So, to finish it properly, take a large slice of grapefruit peel (removing the bitter pith – the white bit) and twist it over the top of the glass, coating it in the aromatic oils. And there you have it. 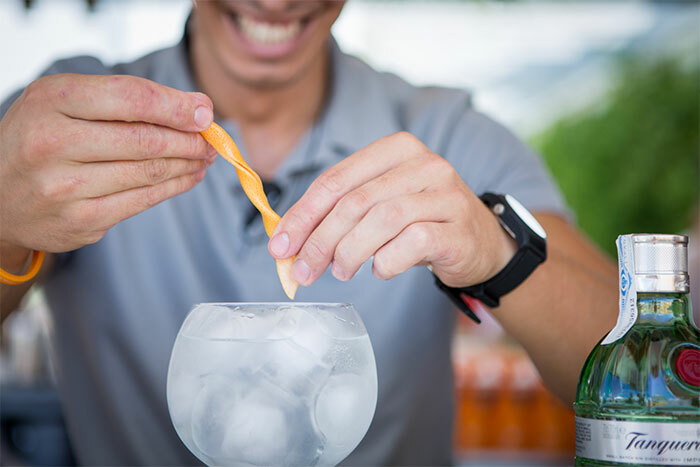 The perfect way to serve a G&T using Tanqueray 10 & Royal Bliss Creative Tonic Water! Enjoy! So, with that I think it’s about time we head to the bar, don’t you?